Your fitness is our focus. Fitness doesn't need to be a chore. Let us show you how fun and rewarding it can be! Every body is different and we create your program based on individual needs and desires. There are no 'cookie cutter' plans here. If you want to run a marathon, just feel better or even lose some weight, we can help. Beginner to seasoned athlete, we can get you to the next level. ISSA Sports Conditioning Specialist NASM Certified Personal Trainer CPR/AED B.B.A / M.B.A.
Chris is co-founder of Total Focus Health & Fitness. 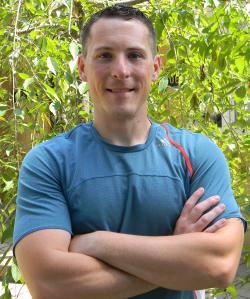 He is a former U.S. Marine with a love for all things fitness. He specializes in training endurance athletes.